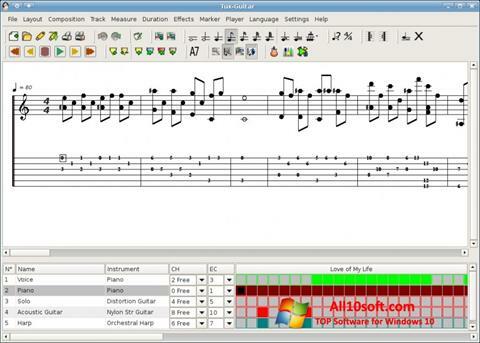 TuxGuitar for Windows 10 view and edit scores or tabs for various musical instruments. Mixing tracks and displaying with several channels will simplify work, the user can manually control the duration of the notes. For advanced musicians there is a function to add special effects, the product supports the necessary triplets. Automatic tempo management and attachment of text labels on the timeline will provide an opportunity to quickly learn musical notation. You can free download TuxGuitar official latest version for Windows 10 in English.